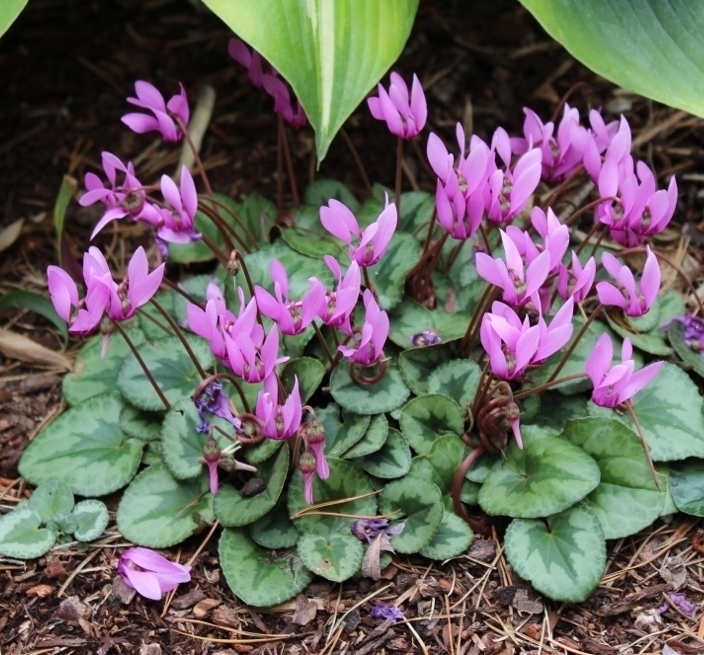 If I would have to name the 10 best perennials, I could never decide on the 10 but I know this plant would be one of them. 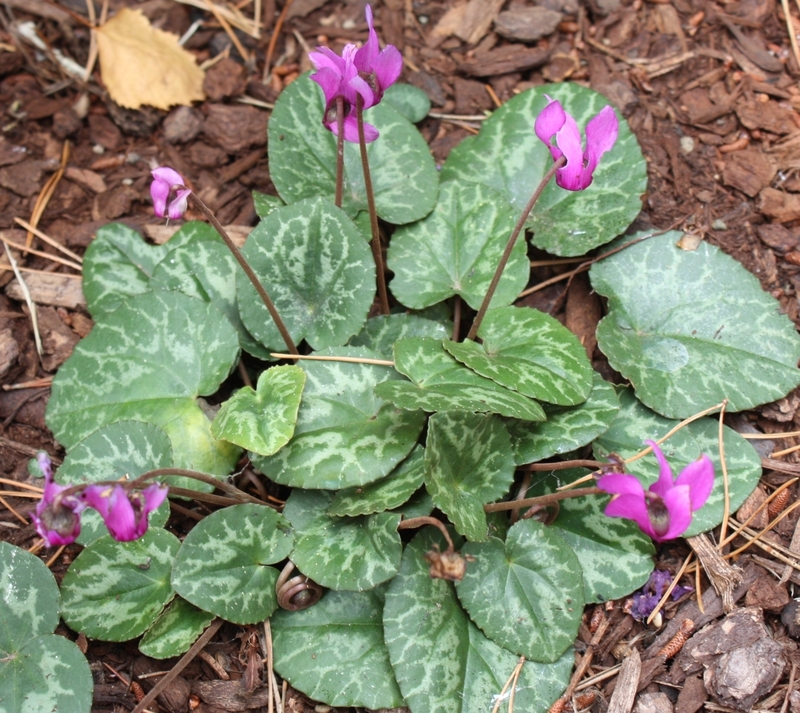 It's the hardiest of all the Cyclamen, has an extended blooming time and best of all, every single one is strongly fragrant. 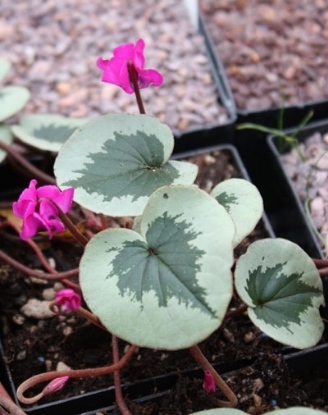 Bloom color varies between dark pink to deep magenta, leave pattern from slightly marked to almost all silver. Further more they hold on to the foliage through most of the summer, when others are completely dormant. 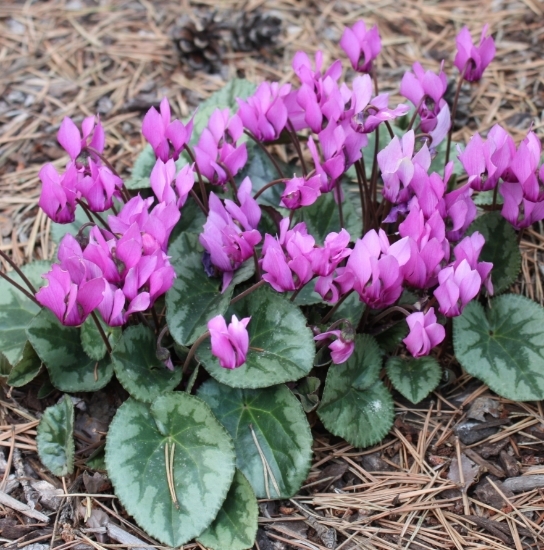 For best performance a moist soil in summer is required. 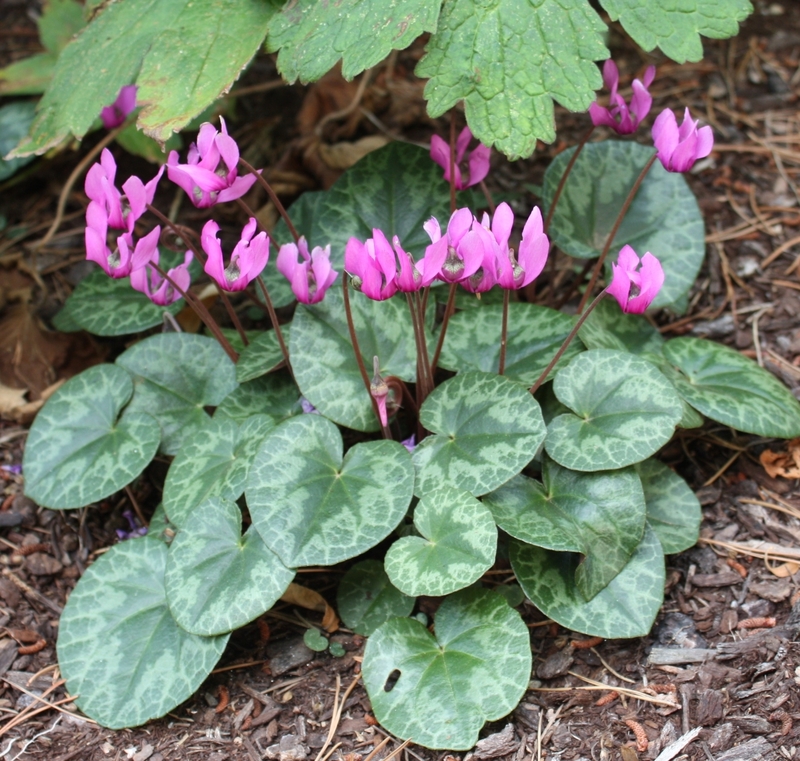 Prefers well drained soil like all Cyclamen.